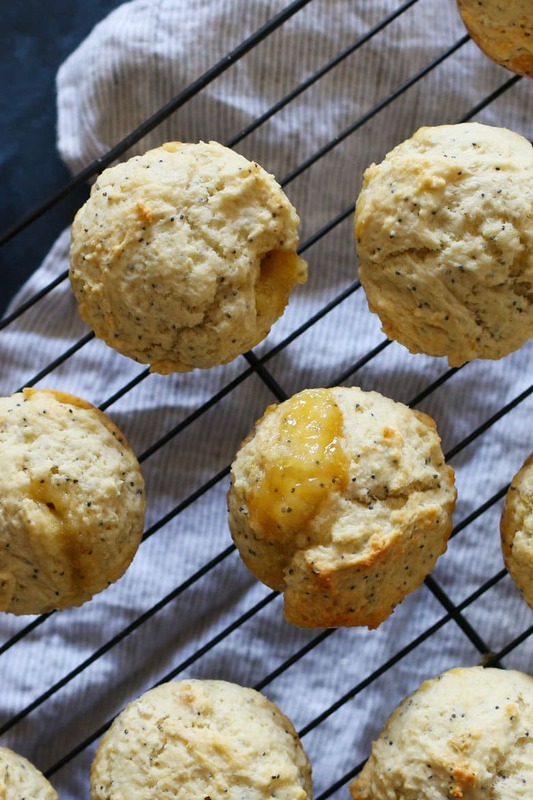 Lemon poppy seed muffins with a twist! 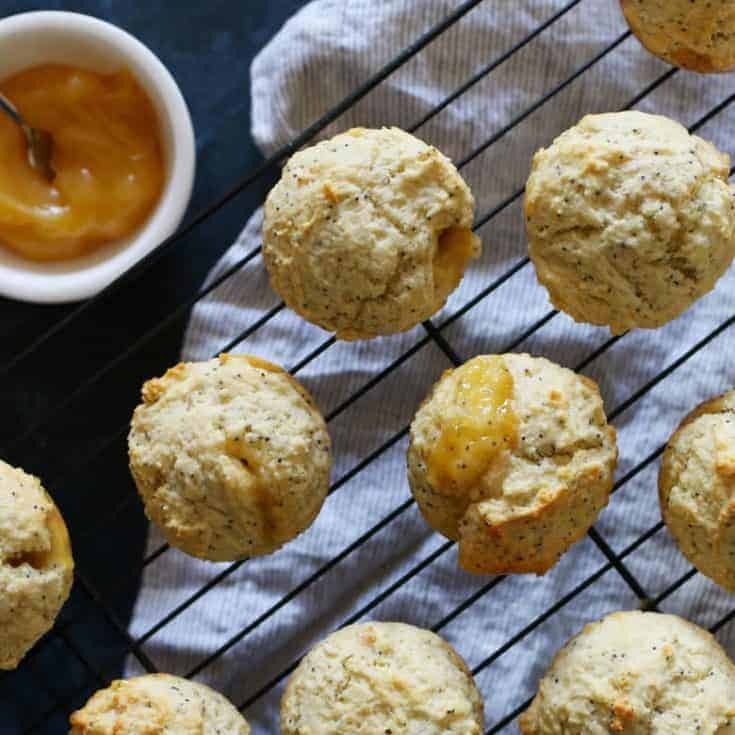 These easy muffins are filled with lemon curd and are perfect for every day breakfasts or a fancy brunch menu. Whenever I go out for breakfast, I always look to see if there is a good muffin available for me to order. If I go to a coffee shop, you’d better believe I order a muffin to go with my latte. 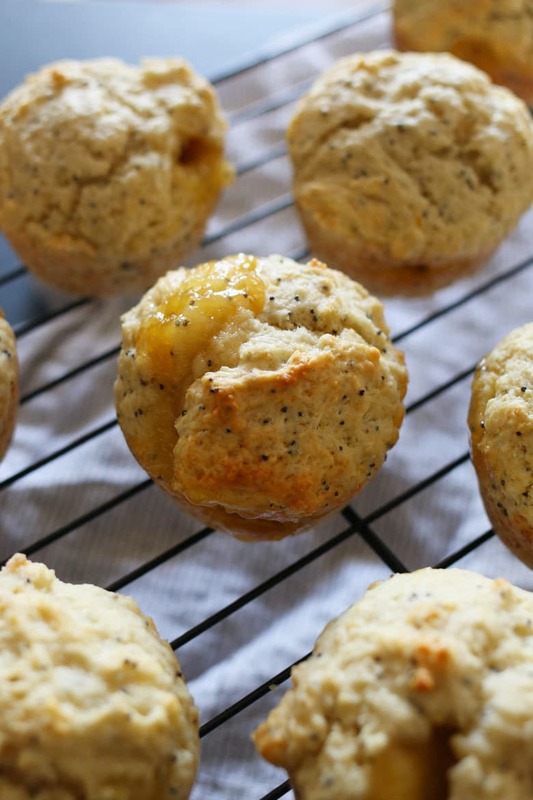 These lemon poppy seed muffins are the kind of muffin I am always looking for but don’t often see on the menu. 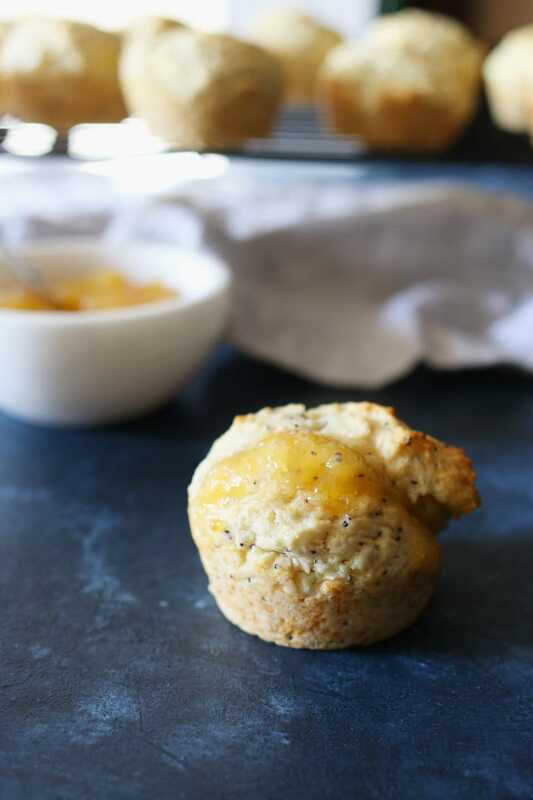 I used the base of my easy muffins filled with jam to create this recipe, substituting lemon curd and adding poppy seeds. 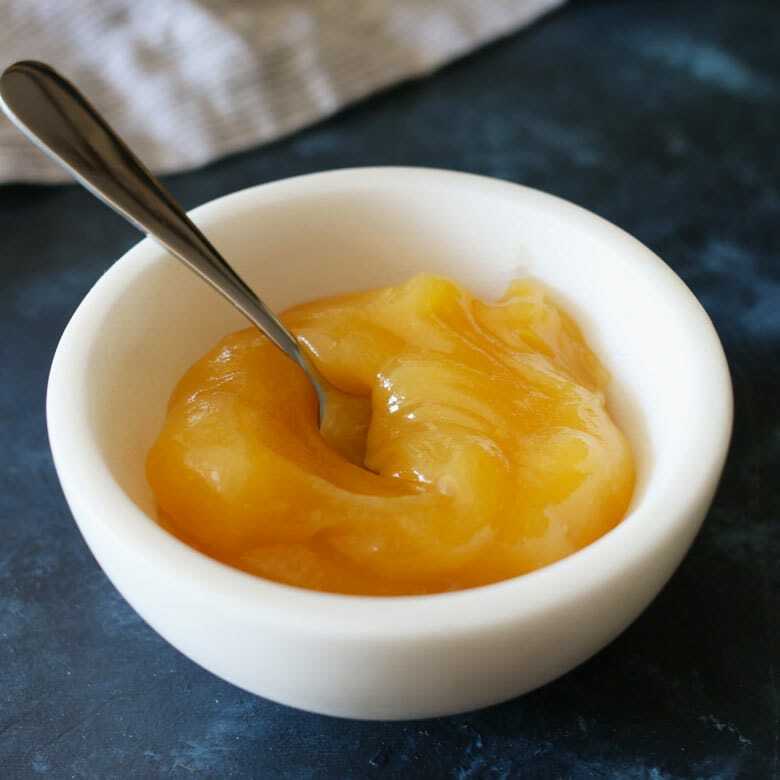 I purchased the lemon curd at the store but homemade lemon curd is easy to make and can easily be used instead. You could also use different types of curd. Looking for a few curd substitutes? 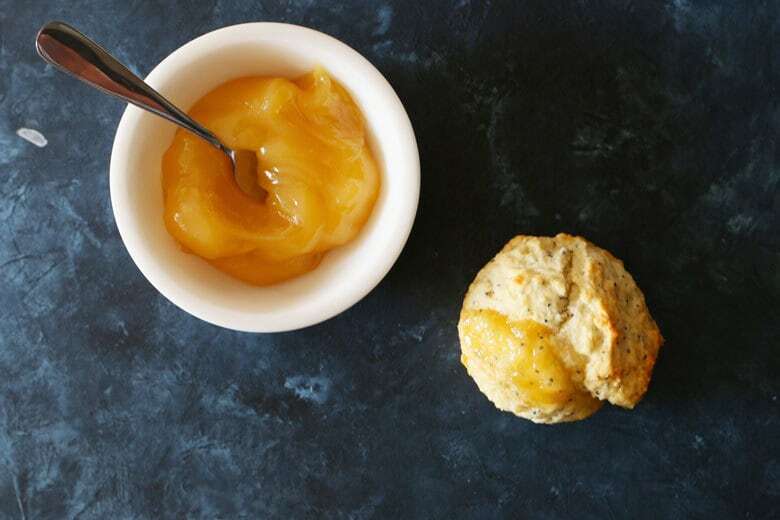 Grapefruit curd, blueberry lemon curd or apple curd would all be great choices. These muffins are so easy to make that you will find yourself making them all of the time. Mix all of your dry ingredients in one bowl and your wet ingredients in another bowl. When you add the wet ingredients to the dry ingredients, also add in lemon zest and poppy seeds and stir until just combined. Make sure your muffin tin is well-greased and fill each cavity a third of the way full. Top the batter with lemon curd, then top that with the remaining batter. Pop the muffin tin and the oven and bake! Quick tip to save you some cleaning time – place a spare baking sheet on the bottom rack or the bottom of your oven. Depending on how deep your muffin tin cavities are, the lemon curd may bubble over a little. My oven got pretty messy the first time I made these muffins but the baking sheet saves me every time now. Preheat oven to 400 degrees F. Spray a muffin tin with non-stick cooking spray and set aside. Fill the muffin-pan cups one-third full with batter. Drop a teaspoon of lemon curd on top of the batter. Top with the remaining batter. Bake until a toothpick inserted in the center of the muffin comes out clean, 20-25 minutes. Allow to cool for 1 minute, then remove muffins from pan. Allow to cool on a wire rack. Store leftovers in a sealable container. Place a baking sheet on the bottom rack in case the lemon curd bubbles over. Looking for some more muffin recipes? This muffin looks awesome, thank for sharing the detailed recipe. I will try to make it at the weekend!